Wedding? Corporate event? COLAO plays Top 40, Latin, Country, Salsa, Merengue, Bachata, Rock, Funk, and well... just about anything that makes you move and groove. Our multi award-winning, professional musician consistently deliver an engaging and electrifying performance. We are well-versed in all genres of music to be able to accommodate to any crowd. From the classics of yesteryear to the contemporary hits of today, we have got you covered! Be ready for a show! 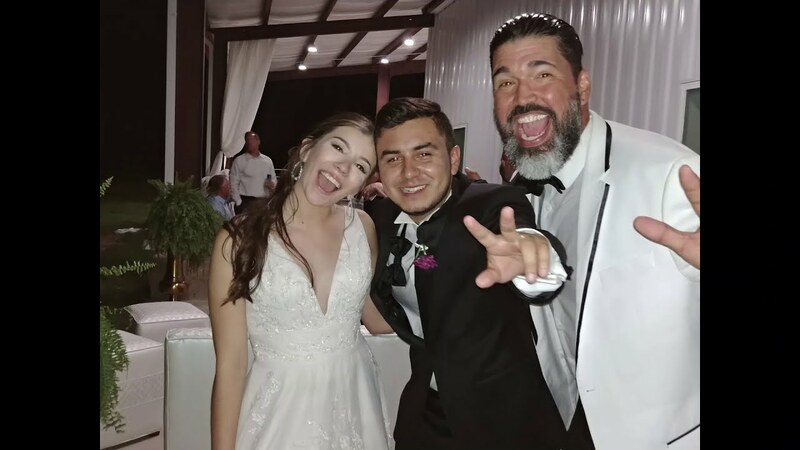 It's been almost a year since our wedding and was thinking about Colao. They have all the instruments you can think of and will make an effort to make a moment you'll always remember worry free on time and personalized. Plus your friends will have a good time and talk about your event for months. Colao was just plain awesome and made the night memorable. They played nearly every type of music from latin jazz, Merengue, R&B, Salsa, and Alternative. The band even did a latin jazz version of Billie Jean, and identical Prince Royce Darte un Beso, and The Doors Light my Fire. Picking Colao was easy because we went to their Studio and listened to them play in person, which made it easier to plan everything. Ray was also very good about requested songs and our timeline. Overall you'll have so much fun having them as your band. We had a great time at the City South Leadership Academy Graduation, and everyone was talking about the great music. So perfect for the event. thanks Monique, Ray and the guys in the band. Y'all did a great job! Look forward to hearing y'all soon. Thank you so much Sonia. It is our pleasure to work with you as well. We look forward to a great relationship with you and the South San Antonio Chamber of Commerce. Our event wouldn’t have been such a success if it weren’t for Ray Calao’s band! They were fantastic, and everyone at our party had an amazing time! Tasha, the vocalist, was a phenomenal singer! We are definitely recommending to hire this band! JR thank you for you for your kind words. The band had an amazing time at your event as well. Thanks again for choosing to go with our band. Colao and his band performed wonderfully. The guests were all entertained and many were dancing the night through. The mariachis were great! They arrived on time, played great music, worked the crowd, and were enjoyable. I would highly recommend them! We are proud to have been able to meet your expectations. Thanks again for your business. Inner City Development Street PARTY!!!! I JUST left the west side of town and heard you guys play for the first time. I LOVE the covers you played from Romeo Santos, Reggaton and more. My son danced pretty muched danced the whole time...and he's only 7!!! I appreciate you guys playing for such a great cause. You have gained a fan! Great music and a very versatile group! 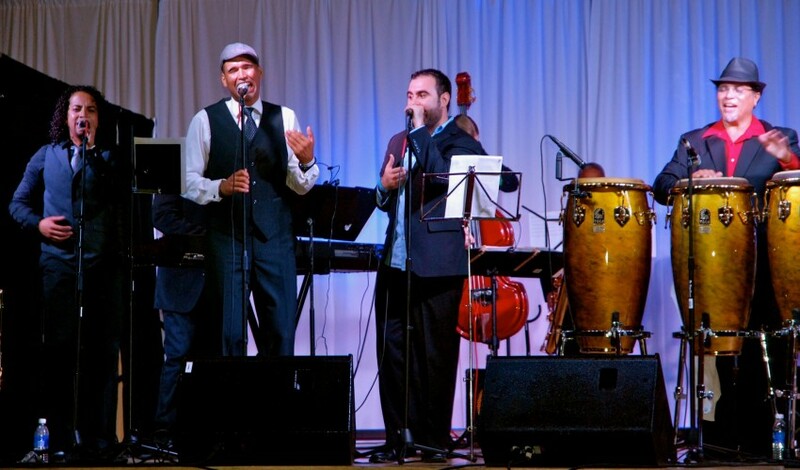 Jazz, salsa, Latin, and modern hits –Colao!! The band is very professional and it was perfect for our outdoor wedding! Don't forget The Music engaged the audience in San Antonio, TX at Ocho for People en Español's Festival pre-concert VIP cocktail party on Saturday September 1st. The band’s energy was infectious and truly made the night that much more special for our guests. Impressive, entertaining and downright outstanding. Thank you! We received so many compliments at our pink carpet launch party for our magazine that the music provided by Colao was great. We enjoyed it so much, I hired them for my Wedding as well. BIG Salsa Festival is thrill to have utilize Colao as our headliner for our Saturday night event. The demonstrated true professionalism and entertainment value for our event. Over 1800 people witness this amazing showcase. Colao was a great band to have for our annual fundraising event. We were blown away at how wonderful the band's sounds were (instrumentally & vocally)... the crowd loved them - and stayed engaged the whole evening. THANK YOU!!! We want you guys back every year! Colao is the funnest group we have ever hired. The experience from start to finish was a delight. We would love to have you guys again! We definitely recommend this group to liven any party. The lead singer's energy is extremely contagious and in no time the crowd was engaged as he climbed off the stage to sing from the dance floor with the crowd. Awesome, just Awesome! Thanks for an Amazing Evening! These guys are amazing. They play Everything! We hired Colao for our annual fundraiser this year and not only was it the most fun we have ever had in our 13 years doing this event... we did better than ever! We have had a wave of phone calls and email with compliments about our event and commitments for next year! Thanks Colao! REALLY fun band for dancing! Very authentic and talented! We saw Colao on First Friday in March. We went to dinner with friends at Rosario's downtown and Colao happened to be playing. WOW! We could hardly sit down to eat the (delicious) dinner because we couldn't stop dancing! Really authentic salsa music, with all the instruments like percussion and flute, etc. Lively, excellent playlist, we had a blast! Insurance: $2,000,000 - 2,000,000 with 1,000,000 per occurance full umbrella coverage. Our show is completely interactive. Not only will we come out to the crowd, we will invite the crowd up on stage. All our shows also include lighting and sound. Our focus is making your event as memorable as possible. 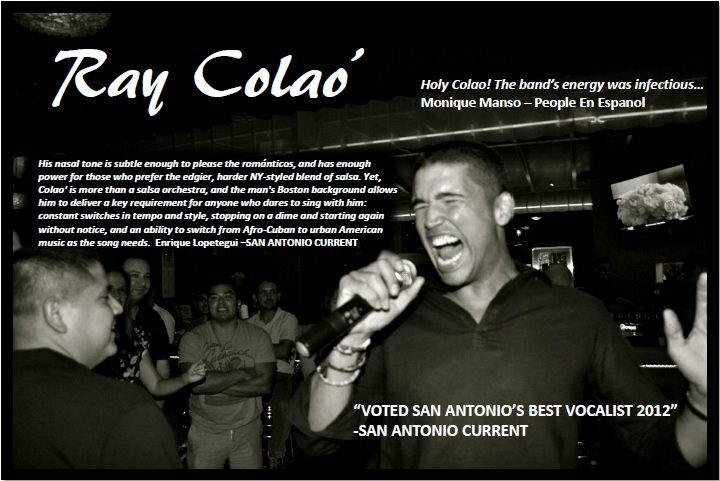 The San Antonio Current describes Ray Colao as “Tito Puente, Pitbull and Otis Redding all rolled into one.” The alternative newspaper has named him the city’s best vocalist 3 years in a row. 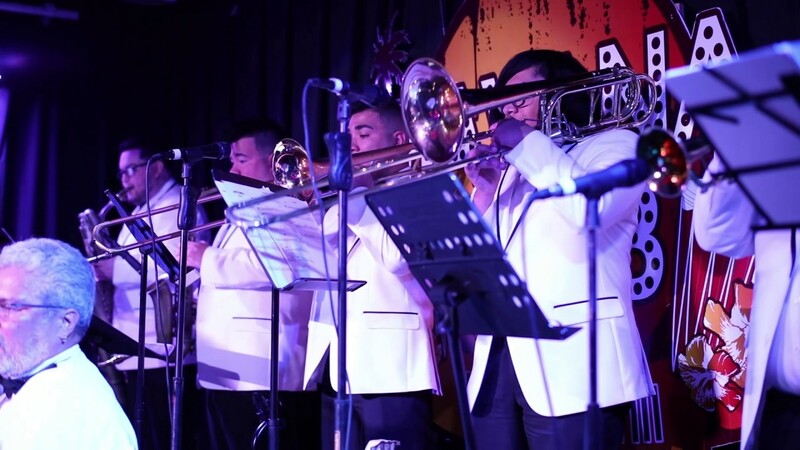 With over 14 years as an accomplished Professional Show Band, Ray and his team of seasoned musicians have graced stages all over the US, performing at some of the most High-Profile Weddings and Events in the country. Colao is a Multi Award-Winning Variety Show Band that is a sure fire hit for Corporate Events and Weddings. 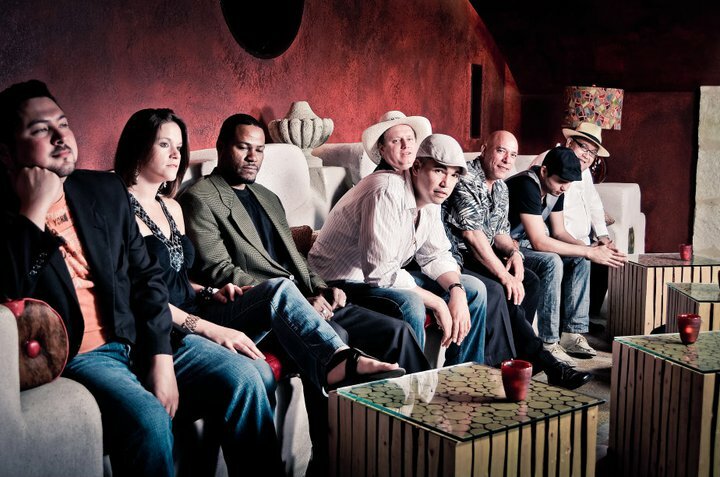 COLAO has been described as the most fun and entertainment band in Texas. Genres include Top 40 (60’s to Now), Salsa, Cumbia, Merengue, Jazz, Bachata, Rock, Funk, and well just about anything that makes you move and groove. All members are professional musicians and are well-versed in all genres of music to be able to accommodate to any crowd. From the classics of yesteryear, to the contemporary Hits of artists like Drake and Bruno Mars, we have got you covered. Regularly featured on local morning TV shows like Great Day SA (CBS) and FOX News First (FOX), COLAO is definitely a Texas Favorite. It Had To Be You, Harry Conick Jr.
Ray Colao is a front man with a Puerto Rican swagger, a multiculturalist with Boston Roots, a San Antonio kick and influences from Cuba, Mexico and the Dominican Republic.